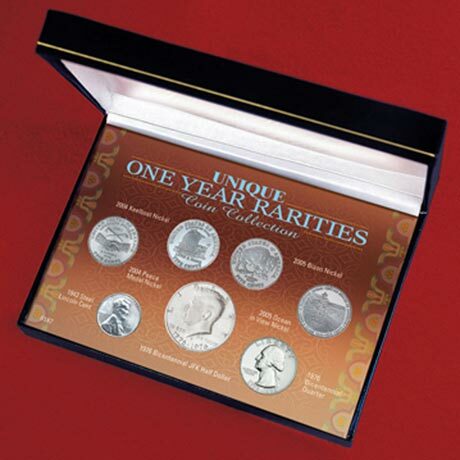 This seven piece collection contains rare American coinage that was minted for only one year. The unique collection contains a Lincoln Steel Penny, the Westward Journey Nickel Series and two Bicentennial coins. The 1943 Lincoln cent was minted from zinc coated steel due to the shortage of copper. The Westward Journey Nickel series includes the 2004 Peace Medal nickel, the 2004 Keel Boat nickel, 2005 American Bison nickel and the 2005 Ocean In View nickel. The nickels celebrate the westward explorations of Lewis & Clark. The bicentennial Washington Quarter and JFK Half Dollar are dual dated 1776-1976 to commemorate America's independence. 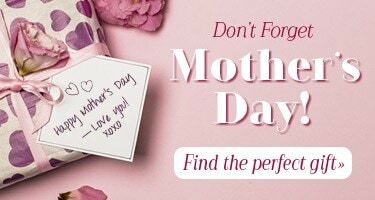 Allow 1-2 weeks for delivery. Item can only be shipped within the Continental US.